RYANAIR AVIATIONS MOST EXPLOITED AIRLINE WORKFORCE .We are in no way affiliated with Ryanair. : RYANAIR FORMER CHIEF FINANCIAL OFFICER HOWARD MILLAR INVESTIGATED AVIATION AIRCRAFT LEASING WORTH €BILLIONS. 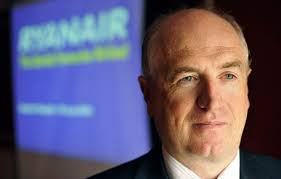 RYANAIR FORMER CHIEF FINANCIAL OFFICER HOWARD MILLAR INVESTIGATED AVIATION AIRCRAFT LEASING WORTH €BILLIONS. 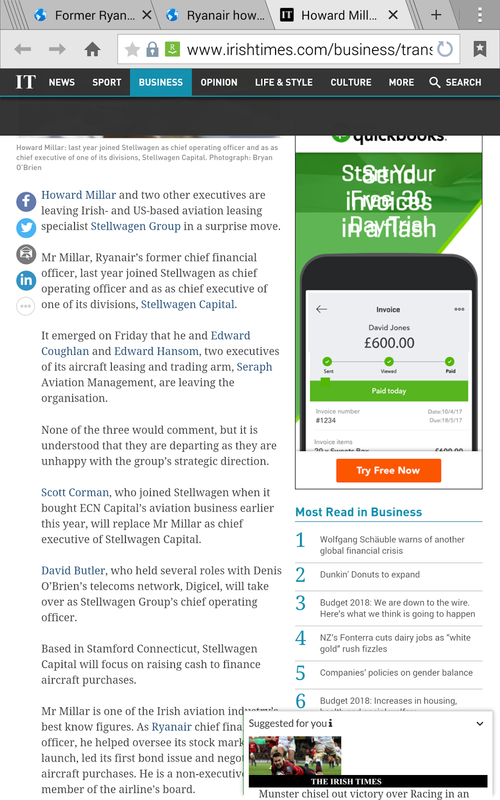 Ryanair's 23 year former chief financial officer and Michael O'Leary's friend Howard Millar of Aviation Leasing Company Stellwagen Group being investigated in courts in USA.With €billions involved. Looks like many former Ryanair employees up to their kneck in corrupt dealings.Would not surprise me if Ryanair are involved in these aircraft leasing deals.